ESET Smart Security 8 is a lightweight, set-it-and-forget-it security suite for home users that provides state-of-the-art protection for your computer against both known and unknown viruses, worms, trojans, spyware and other Internet threats, while leaving a minimal footprint on computer resources. 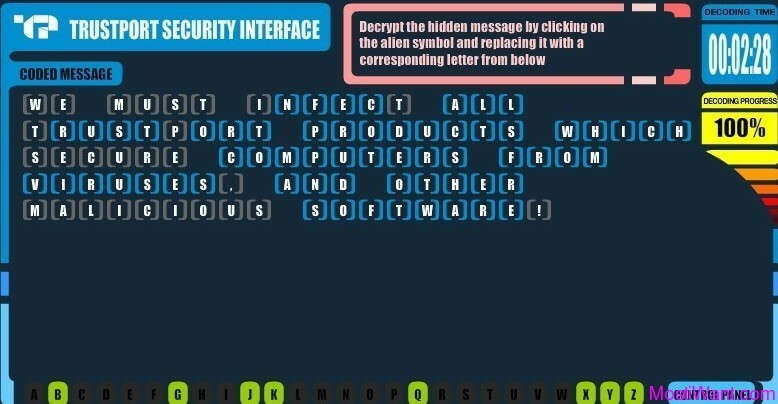 ESET Smart Security 8 is built on ESET’s unique heuristic technology that identifies viruses that have never been seen before. 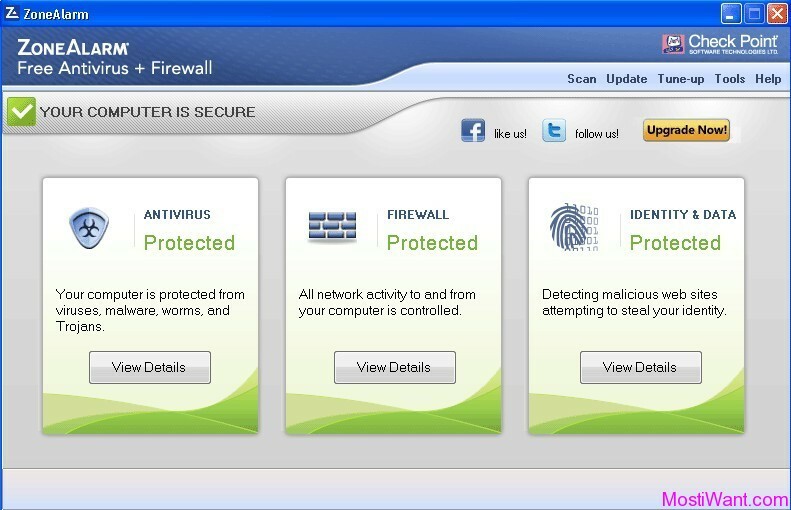 This enables you to protect your computer proactively, in real-time, against new viruses and cyber threats that traditional signature based antivirus products don’t catch. 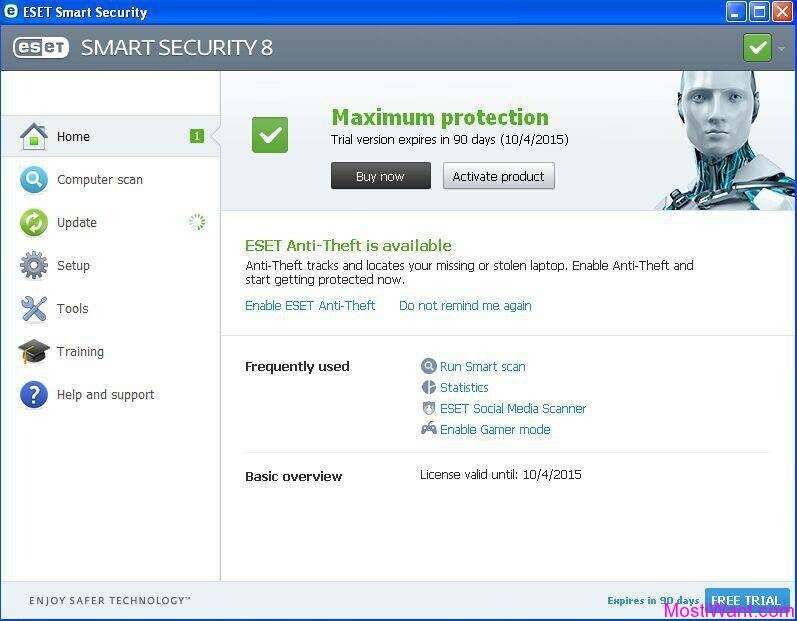 ESET Smart Security 8 includes antivirus, antispyware, antirootkit, anti-phishing and HIPS protection, along with an intelligent firewall, Device control (removable media control), cloud-enhanced whitelisting, parental controls, Internet security training, and smarter anti-spam for Outlook, Outlook Express, Thunderbird and other popular mail clients. ESET Smart Security 8 also features an all-new Anti-theft module which locates your missing laptop and allows you to watch and document any activity taking place on it, while the Social Media Scanner extends the protection to your Facebook wall and private messages. Other features includes Vulnerability shield, Advanced memory scanner, and Exploit blocker. Antispam blocks unwanted emails and images for Outlook, Outlook Express, Thunderbird and other popular mail clients. ESET Smart Security 8 is priced at $59.95 for one year serial number / license key on 1 PC. Before purchasing, interested users can download the trial version to test the software to see if it is worth buying. Like other security software, the official ESET website usually provides free trial for one month only, but there is a promotion offer to get a free license for ESET Smart Security 8 that protect you for 3 months (90 days). Get it now and Think Later. This offer wont last long. 1. Visit the promo page here, and scroll down the offer page a bit until you see the form like below. 2. Submit your name and email and you will receive a free 3 months activation key for ESET Smart Security 8 by email. If the e-mail hasn’t arrived within 15 minutes, please check your spam, junk mail or promotions mail folder to locate it. Note: If you need more that one license, please close your browser, clear your cookies, and then try again from step 1. 4. Now register you activation key on http://www.eset.com/tr/support/activate/. And you’ll get username and password valid till October 4, 2015. 5. 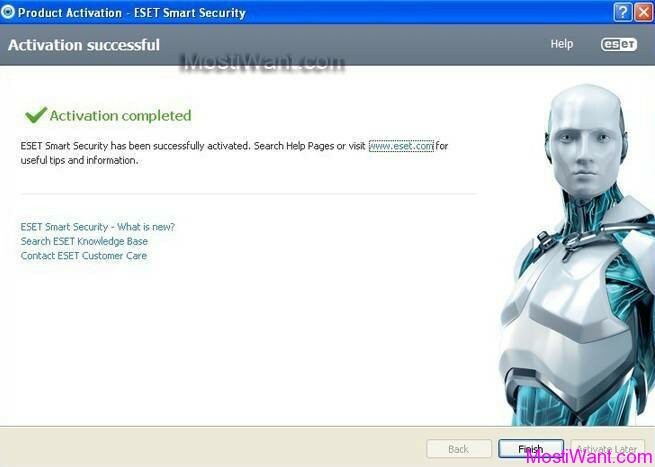 Install and active full version ESET Smart Security 8 with received Username and Password. The activation key (Username and Password) should also be able to active ESET NOD32 Antivirus 8. Keep in mind, still, that this giveaway promotion won’t last forever. So, before it ends, you should grab the free serial quickly. Updated: The old promo has expired now. 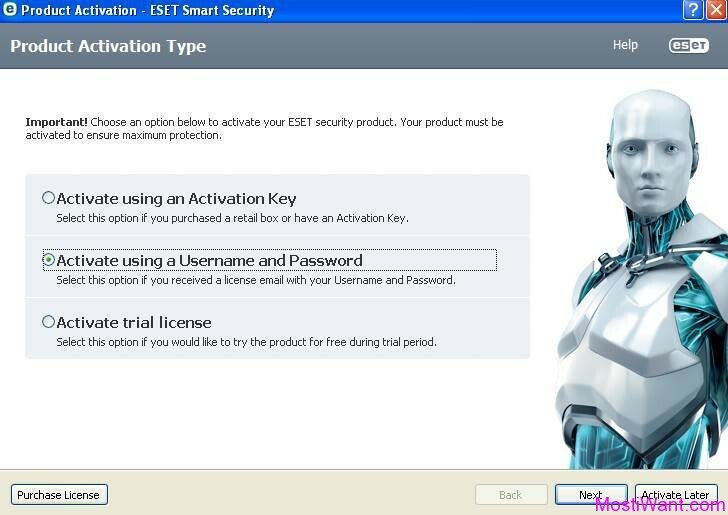 There is another working promo which offers Free 90 days activation key to ESET Smart Security 8. Thanks very much to Goodwin for informing me about this promo. i want to thanked for eset cecause of strongly working for my pc. this is a very good anti virus. I want to thanked for eset because of strongly working for my pc. this is a very good anti virus. 1. Enter your name and email and click the Kodunu al button. 2. Your license will show up immediately. 3. Copy and paste your number as they don’t send it to you. Thank you, naveen! Readers like you keep us alive! You should change your title. ESET already hunt down website that offering free eset password and username. This page already blocked by ESET, and need to excluded from firewall. Hi Steve, many thanks for letting me known this. I will change the title the next time. Thankyou William…. now i have my key! no any key is working …!!! salam.khubid?man user pass mikham mituni komakam koni? Yours is certainly straight to the point .-= Karen is hoping you stop by and read 99designs is the largest crowdsourcing marketplace for graphic design =-. please send me user name, password ,key for eset smart securtity 4 so that i can use for lifetime. pls. sent me eset smart security 5 key. pls. sent me eset smart security 4 key. Hi, when I pasted the url the site wasn’t real it just said can not be viewed. Help me? Pls. give me an username and password for eset smart security 5. Пароли не работают. Перепробовал все! отлючил какую-то там галочку в nod security и всёрвоно не работают!